A couple wins ribbons for a classic Carolina dance. Editor’s Note: This article originally ran in July 2012. Read more about our shagging, North Carolina’s official state dance, by clicking here. Hall, a teacher in Greensboro, grew up with shag dancing. She was born near Myrtle Beach, South Carolina, and she remembers when shagging was all the rage. It was simpler back then. With a jukebox beating out beach music, your dance floor was sand, your venue was the open air, your steps were all freestyle. And your dance shoes were bare feet. 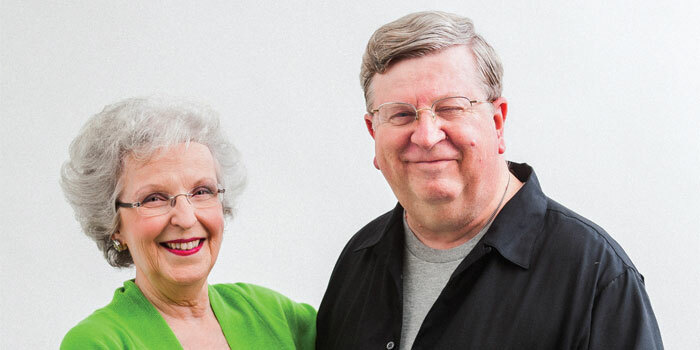 Now, Hall may no longer shag shoeless, but that hasn’t stopped her and her husband, Ron, from taking formal shag lessons, attending shag parties, and competing across the state. They’ve placed in almost every contest they’ve entered. Ron wasn’t always a shagger. When Pam first saw Ron dance, she noticed his lack of rhythm. When the couple first talked about shagging, Ron was nervous. “I have no rhythm,” he told Pam. But now, Ron captures the crowds and wins awards. “It can happen,” Pam says. There are more steps to learn, a better form to practice, Pam says. You have to be coordinated because you dance from the waist down. You must maintain control of your body; the steps must be contained. And when all that’s been accomplished, Pam says, that feeling of euphoria — yes, the one that came each time she headed out to the sandy pavilion on those summer nights — always returns. One-and-two, three-and-four, five, six. That’s what it takes to shag. You just have to count. 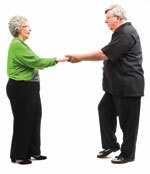 On the one count, the woman puts her right foot forward, and the man puts his left foot forward — a mirrored dance. On the “and,” simply bring your feet up together. For number two, ladies, bring your right foot back. Men, bring your left foot back. For the third count, women bring the left foot all the way back behind the other foot; men, do the same with your right foot, please. On the second “and,” women, shift your weight to your right foot; men, shift your weight to the left. For the four count, shift your weight to the opposite foot. On the five count, women step back all the way with the right foot, men the left. And finally, on the sixth and last count, shift weight to the front foot, and get ready to repeat the steps again. Ashton Astbury was an editorial intern for Our State in spring 2012.